There aren’t a lot of companies out there making smartphones in the clamshell form factor. Samsung does release a couple of Android-powered flip phones every year in select markets. 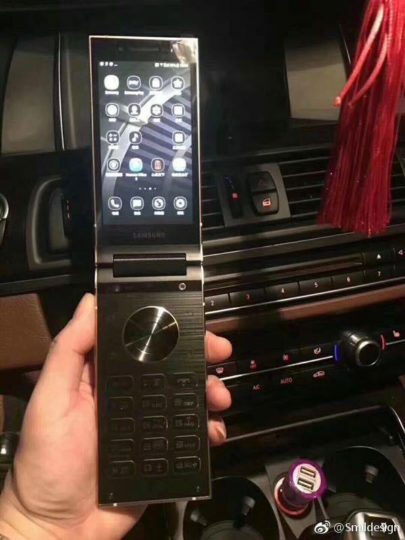 It has been working on a new flagship flip phone for the past few months. 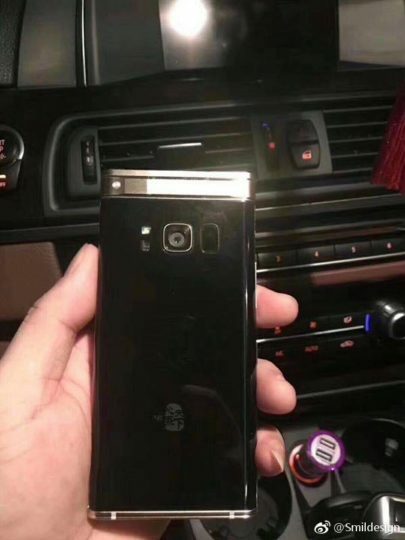 It’s going to be called the SM-W2018 when it’s released and now that live images of this handset have leaked online, you may find yourself with the desire of owning one. Previous reports have suggested that the SM-W2018 is going to have flagship-level specifications. It’s expected to feature two 4.2-inch Full HD display with a Snapdragon 835 processor, 6GB RAM and 64GB storage. It may also feature a 12-megapixel rear and 5-megapixel front camera as well as a 2,300mAh battery. The leaked live images show just how great the two displays are going to look. 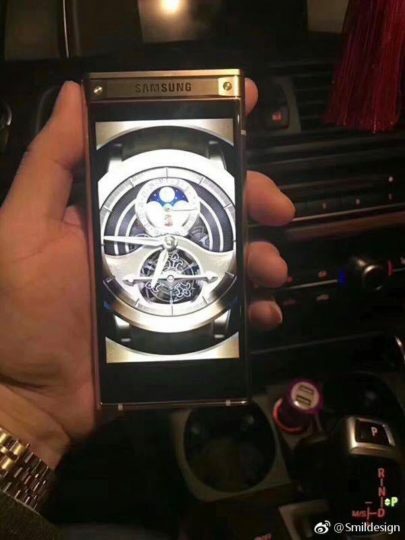 Moreover, the build quality itself appears to have a very premium look and feel. We heard last month that the SM-W2018 has entered testing. We also spotted a firmware for the device, W2018ZCU0AQI9. There haven’t been more reports about this handset since. 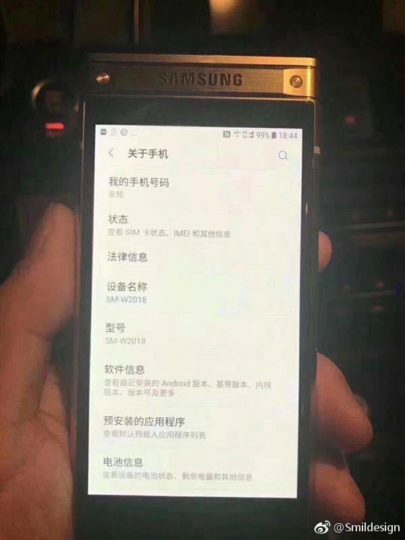 Samsung’s flip phones are normally released in China so it’s possible that the SM-W2018 may not make its way out of the People’s Republic as well. 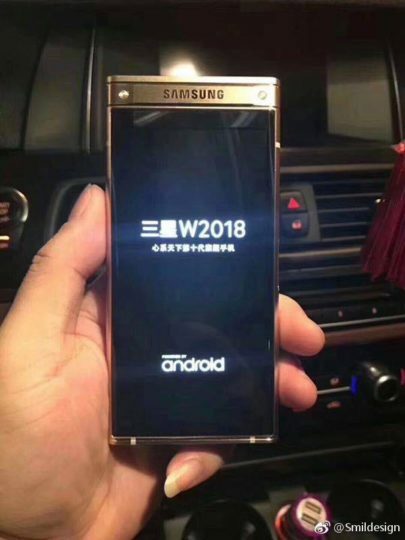 Samsung hasn’t confirmed when it’s going to launch the SM-W2018. Some reports claim that it’s going to cost over $2,000 in the country. This can’t be right because last year’s was smoother and better polished. There are a lot of bootlegs out there and this looks like one of them. … why is one fingernail a longer, female length, and other 4 are stubs?????? epic fail! I don’t know why this is such a big deal when Samsung already been there, done that. Doesn’t anyone know about the twin screen with keypad clamshell phone that Samsung released in 2016 or maybe 2015? It was called the Galaxy Golden and I believe it was a limited edition thus not sold across markets. It’s quite similar to the one you have here. Let’s see I may find a pic. I’ll post it here if and when I find it. The SM-W201x series (remembering that the SM-W2018 will be the fifth generation) is not also known as Galaxy Golden (succeeding the GT-I9230)?